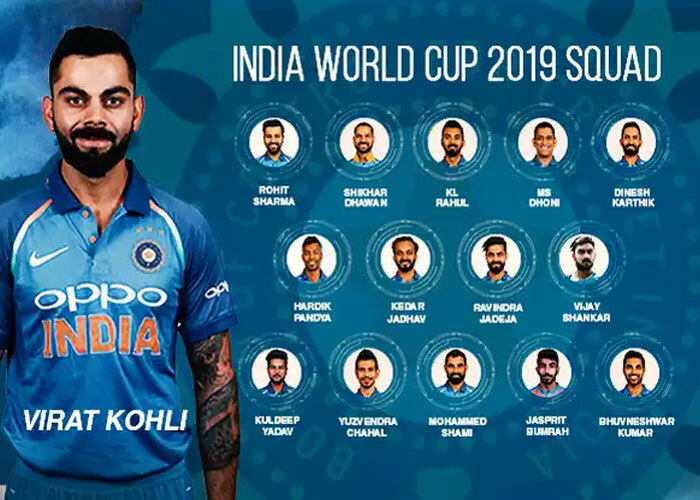 The BCCI announced Indian squad for ICC World Cup, 2019 which will be held in England. The senior selection committee, headed by MSK Prasad along with Indian skipper Virat Kohli confirmed the 15 member Indian cricket team. However, Ambati Rayudu and Rishab Pant were ignored by the selection team. Given below is the list of Indian squad.